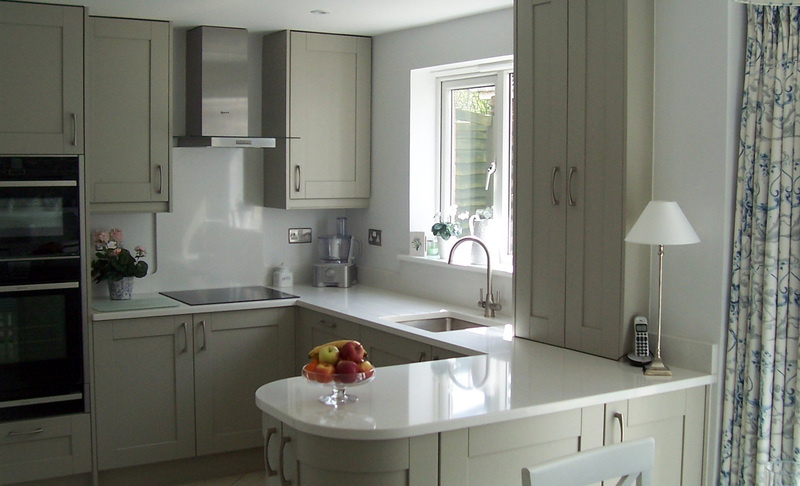 The clients wanted to update their kitchen and utility with light doors and worktops and provide more practical storage. 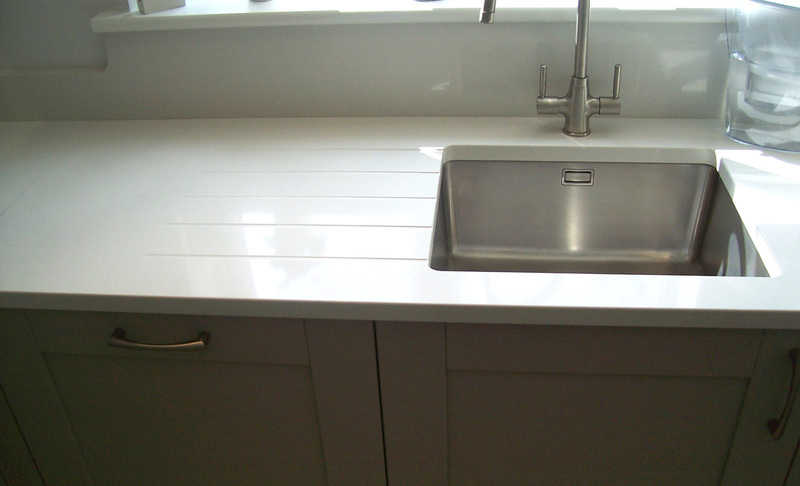 The tall cupboard on the worktop was designed to hide away the electrical appliances and storage. These doors are bespoke sizes and specially made to fit the clients needs.